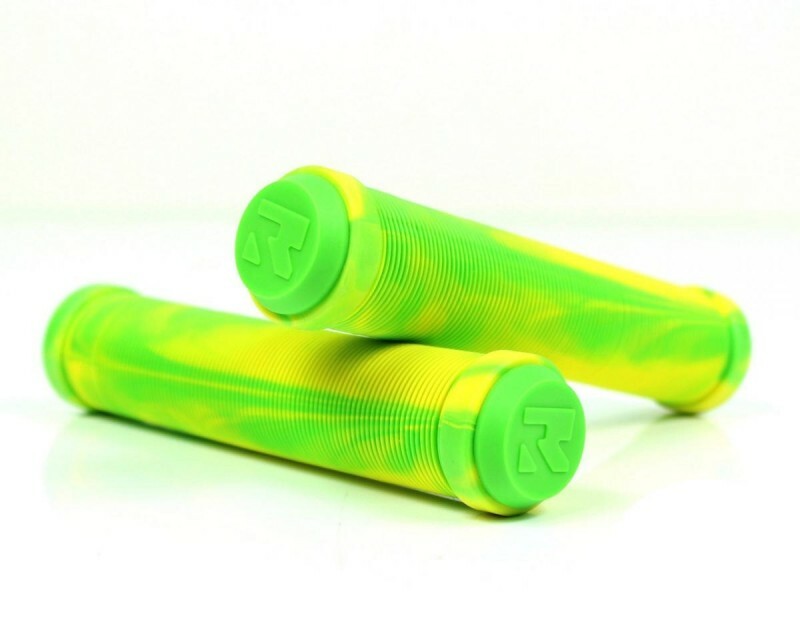 The Root Industries scooter grips are the result of 18 months research and development into finding the best formula for grips. Approved by Root Industries Team Riders Regan Thompson, Reece Jones, Nathan Fleming, Royce King and Moey Ahmad the Root Industries grips are also the choice grips of the entire Scooter Hut team. Root Industries grips have been moulded in the classic ribbed design, which has been proven time and again to be the best design for comfort. The grips are 150mm long, which is slightly longer than most bicycle grips. Where these grips really stand out from the rest is in the choice of material used to make htem. The grips are manufactured from a secret kraton gel formula, which provides the most amazing soft feel, yet in our tests proved to be the longest lasting grip amongst them all. This combination of comfort and durability is what makes the Root Industries grips stand out from the crowd.